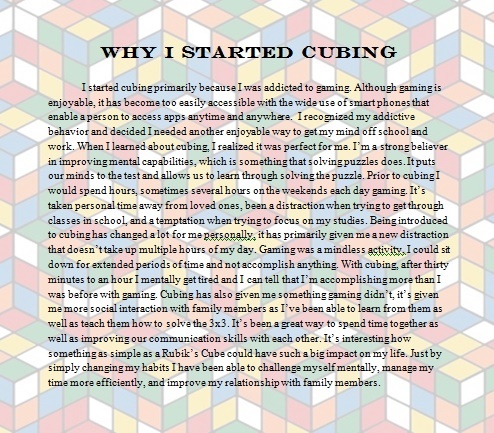 When I learned about cubing, I realized it was perfect for me. I’m a strong believer in improving mental capabilities, which is something that solving puzzles does. It puts our minds to the test and allows us to learn through solving the puzzle. Prior to cubing I would spend hours, sometimes several hours on the weekends each day gaming. It’s taken personal time away from loved ones, been a distraction when trying to get through classes in school, and a temptation when trying to focus on my studies. Being introduced to cubing has changed a lot for me personally, it has primarily given me a new distraction that doesn’t take up multiple hours of my day. +Gaming was a mindless activity, I could sit down for extended periods of time and not accomplish anything. With cubing, after thirty minutes to an hour I mentally get tired and I can tell that I’m accomplishing more than I was before with gaming. 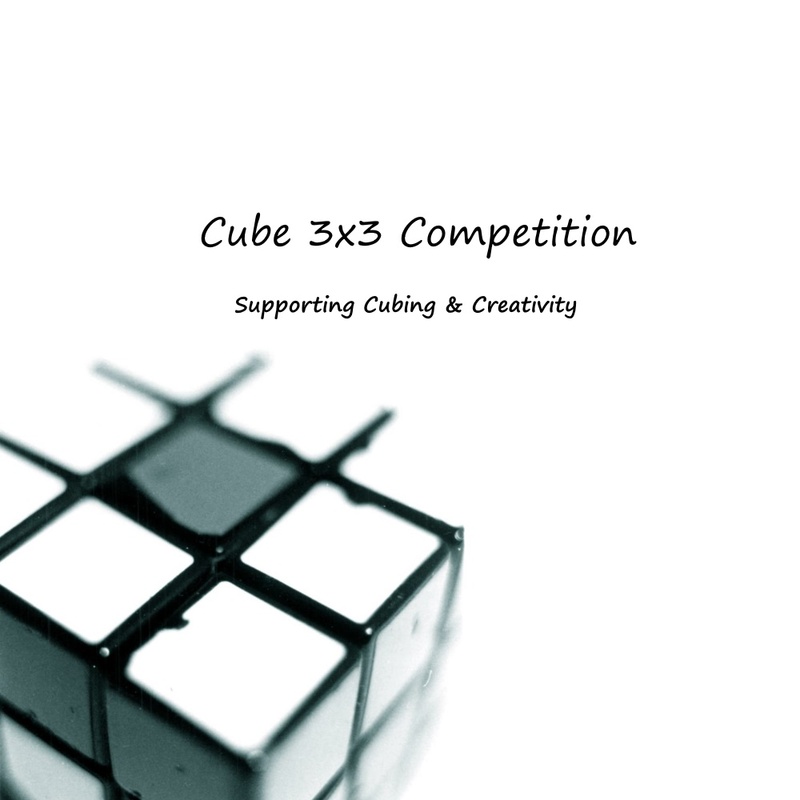 Cubing has also given me something gaming didn’t, it’s given me more social interaction with family members as I’ve been able to learn from them as well as teach them how to solve the 3×3. It’s been a great way to spend time together as well as improving our communication skills with each other. It’s interesting how something as simple as a Rubik’s Cube could have such a big impact on my life. Just by simply changing my habits I have been able to challenge myself mentally, manage my time more efficiently, and improve my relationship with family members.